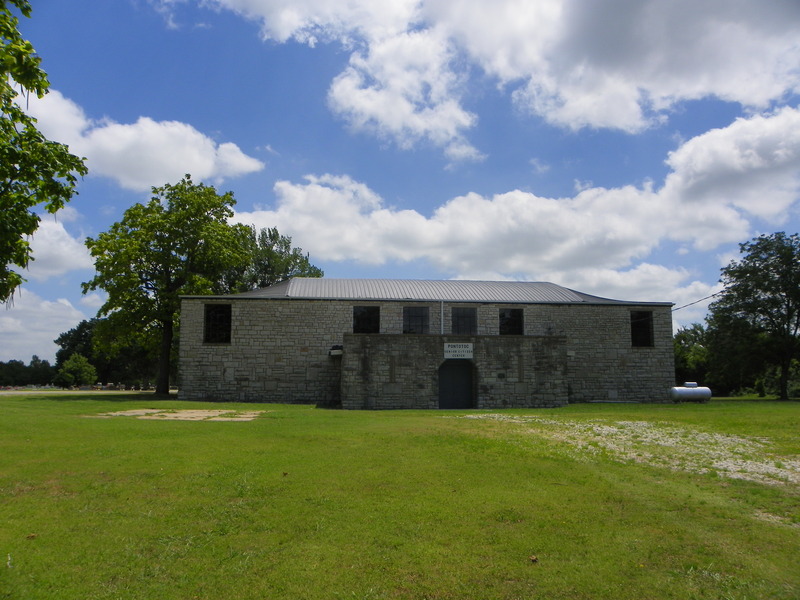 The Pontotoc Gymnasium is a single-story, rectangular (95′ x 82′) structure constructed of rusticated granite randomly laid. The roof is hipped, and window openings have preformed concrete sills and lintels. Entry to the gym is through a rectangular extension to the main structure. The extension has a flat roof with parapets, two singly placed sash windows on either side, decorative rock work and an entryway recessed behind a stone arch with a Keystone. Wood inse s in all windows in the gym proper do not impeach the architectural integrity of the structure. Architecturally the Pontotoc Gymnasium is unique for its extended entryway. WPA­ constructed gyms generally have no similar feature. Within the community the structure is notable for its construction materials, scale, type and workmanship. Masonry is particularly good. 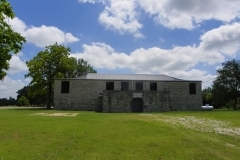 Significantly the gymnasium enabled the Pontotoc school system to participate in intervarsity sports, adding an important dimension to the curriculum as well as a source of community pride and spirit. Construction also permitted destitute workers in this rural region to find useful employment and a measure of economic security.